Universal Relocations’ global teams of professionals deliver a full range of relocation services. We offer overseas relocations, immigration, logistics and moving services, including pet relocation for individuals & corporations. The client wished to manage the leads and maintain the whole cycle from making a query to dispatch the material with all terms and conditions. Their business requirements included port the enquiries registered on website to Salesforce lead box and allow sales team to create new records and categorize for other offline enquires, namely phone call, customer referrals etc. Additionally, they wanted to integrate Adobe Echo-Sign into Salesforce for agreements to upload the quote formats sent to prospects. 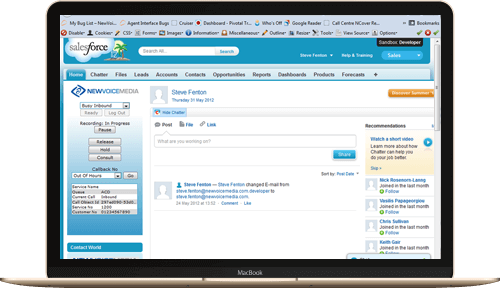 They want to use Salesforce as a scheduler to track and remind tasks or events such as a scheduled follow up or move date and integrate third party application such as Quick books into Salesforce. App Maisters help to work out a plan and set up Salesforce for the Channel and Developer division of the company. App Maisters set up Salesforce org by customizing few apps as per the client requirement. We provided solutions for configuration and data model changes, data migration, dashboard and reports, Echo sign app, QuickBooks integration, address tool, email templates and customization in salesforce org.